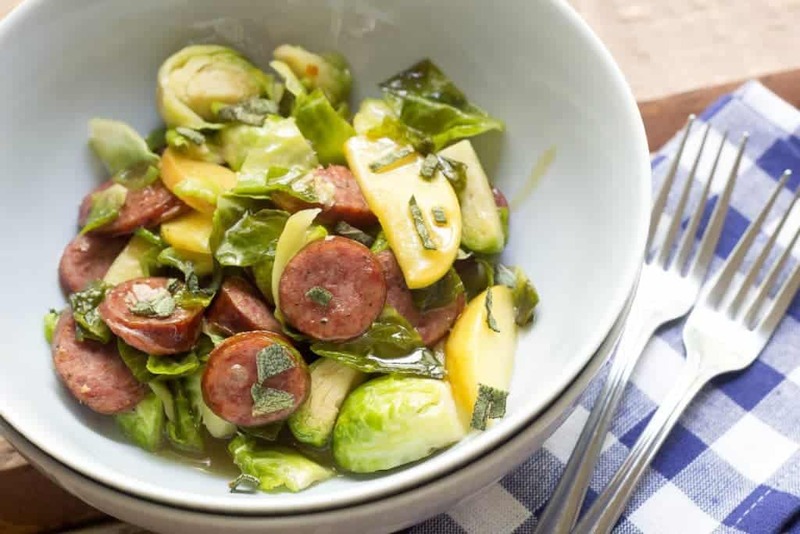 Beer-Glazed Sausage with Brussels Sprouts and Apples are the perfect dish for a cozy October night. I grew up eating lots of kielbasa. I’m not sure if it was because of my part-German heritage or our proximity to Milwaukee that created the frequent dinnertime appearances. Of course, it was probably just the fact that kielbasa comes from the store pre-cooked, and one parent on the late shift and other working part-time means dinner needs to be on the table fast. Kielbasa delivers. We often had it straight up, served sliced with tots on the side. Potatoes were of course our go-to side item, in any form. I still love me a good tot (as evidenced by my Texas Tater Tot Casserole), but I’m also glad that I’ve branched out in my options. 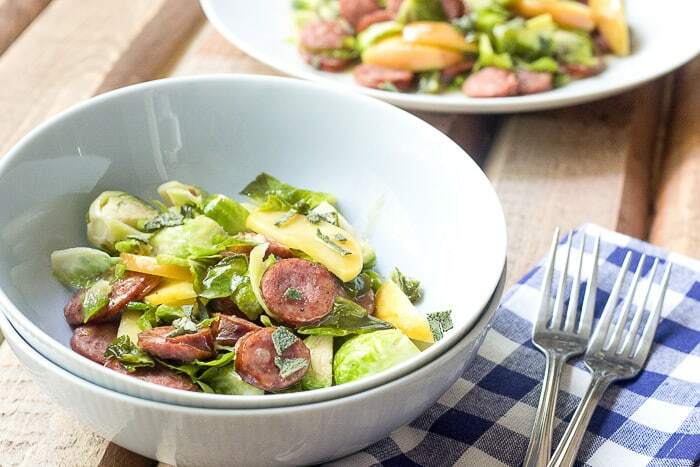 Brussels sprouts are one of the things I look forward to every fall, and they’re great when paired with savory meats like sausage. Add in some sweet apples and a bit of beer and you’ve basically got Oktoberfest no matter what time of the season it is. Now, Brussels sprouts can be intimidating for anyone who has never eaten them (or those who have only been subjected to a vegetable death-by-boiling situation). Cooking Brussels sprouts is easy and they can be delicious—promise! Precooking, as in this recipe with the beer, helps tame down the slight bitterness that you might associate with sprouts. I like to make sure mine get a little brown on the cut side, as the caramelization adds a hint of sweetness and even more flavor. 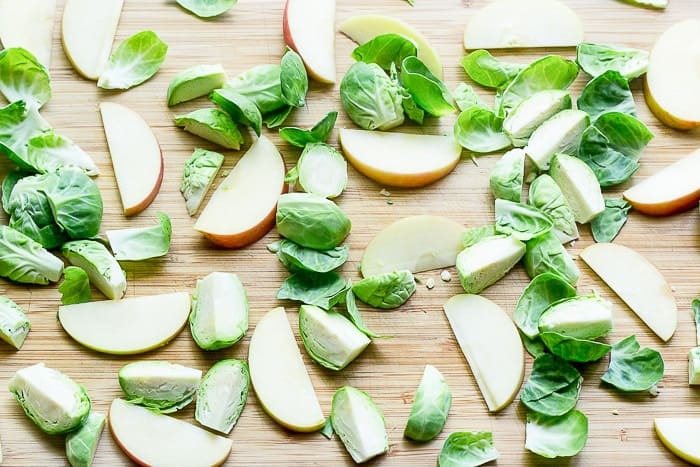 Since Brussels sprouts are basically just baby cabbages, they are the perfect match for other foods, such as apples, that pair well with cabbage. Apples are tasty in plenty of desserts, but they’re also quite delicious in savory fall dishes, especially ones featuring pork (like this pork cabbage skillet with apples). It’s hard not to love apples year-round, of course, but they have a special place reserved in my kitchen come fall. When it comes to the apples for this recipe, a nice crisp variety is your best bet. Gala and Honeycrisp apples work well, while Red Delicious and others that tend to be a bit more mushy are best to saved for other uses. 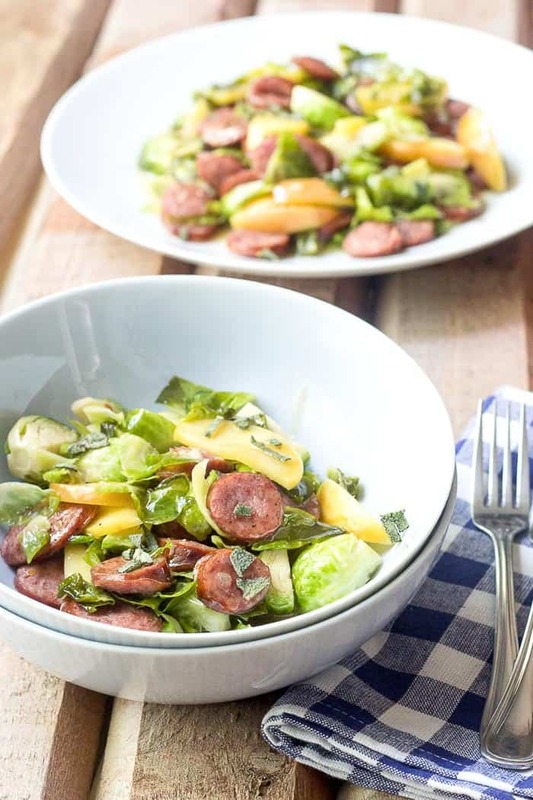 Don’t worry about there being beer in this beer-glazed sausage with Brussels sprouts and apples recipe if you’re serving it to the kids — the alcohol cooks off and you’re just left with the flavor. 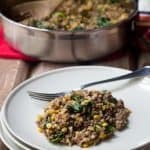 When combined with the sausage, sprouts, and apples, it makes for a wonderful bowl. Fresh sage is a great addition, though you can leave it out if you don’t like the astringent flavor. Fresh sage is a great addition, though you can leave it out if you don’t like the astringent flavor. 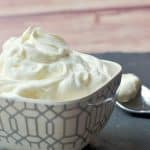 You’ll have some resulting sauce from this recipe, so why not bake up a batch of my buttermilk herb rolls to sop it up? Swap in sage in that recipe for a double-down on fall flavor. 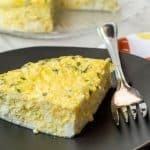 A batch of cornbread would be a great fit too, especially if you have any late-season corn to use up. Don’t be discouraged by the use of two pans — it’s just to make everything simpler! 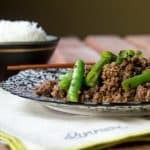 Turn to this quick dinner recipe on a weeknight while you are waiting for the leaves to change this fall. Want to try your hand at cooking Brussels sprouts this fall? Try my Spicy Glazed Brussels Sprouts — they get a kick of heat from gochujang, a fiery Korean condiment. I also love Brussels Sprouts with Walnuts and Cranberries. Sweet dried cranberries are a wonderful accompaniment to the sprouts. No matter which recipe you try, I can promise you’ll come to love Brussels sprouts as much as I do! Beer-Glazed Sausage with Brussels Sprouts and Apples is the perfect dish for a cozy October night. In a large saucepan combine half of the beer and the crushed red pepper; bring to boiling. Add sausage and Brussels sprouts. Return to a simmer, cover and cook 5 to 8 minutes or until sprouts are tender. Drain and set aside. 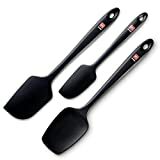 Meanwhile, in a large skillet melt 1 tablespoon butter; add apples. Cook, turning occasionally, until apples are just tender. Transfer to a platter. Add sausage and Brussels sprouts to skillet. Cook, turning occasionally, until browned. Add to platter; cover. 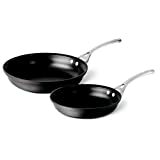 Drain fat from skillet. Carefully add remaining beer to skillet (mixture may foam); stir to scrape up browned bits. Add remaining 1 tablespoon butter, brown sugar, cider vinegar, and orange peel. Bring to boiling; reduce heat and boil gently, uncovered, 5 to 6 minutes or until slightly thickened. Return sausage, Brussels sprouts, and apples to skillet to coat in glaze. Return to serving platter. Sprinkle with sage. We had kielbasa & smoked sausage a LOT while I was growing up too. Never with tots, though. I have some extra Golden Delicious apples that would be perfect with this dish. Making it soon (maybe even with some tots on the side, because I can never get enough!)! !